As our days as a family of three are drawing to a close, so are our days living in a two-bedroom condo. It’s finally official. 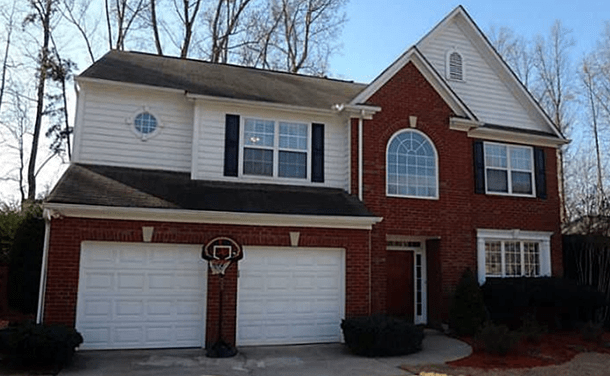 This morning we closed on a house in a Legacy Park neighborhood up in Kennesaw, Ga. I have been waiting for this moment all of my married life, and it appears that Baby #2 was a great catalyst. I told James that if we didn’t move before Beau’s arrival, he’d be sleeping in our room indefinitely. That right there was enough for him to take me seriously. To say I’m excited and relieved are understatements. This couldn’t have come at a better time; moving at 8 months pregnant will be hard enough. I’ve spent the past few weekends packing and purging. It’s been an exhausting but productive one-woman show. I have engaged James to help dispose of all the trash, but let’s face it: If packing were up to him he’d either throw out things that shouldn’t be trashed or throw every single thing in a big box with no thought or organization. We leave for vacation in Hilton Head, S.C., first thing tomorrow morning, so we aren’t moving until the first week of June. But at least we’ve signed on the dotted line and are good to go. Now I can rest easy that all those dreams and ideas in my head can finally come to fruition at some point. Throughout the summer, I’m sure I’ll ‘overshare’ about our house: before and after pictures, projects, decor, wish lists, etc. Bear with me; this is definitely uncharted territory. I’ll never be the next Young House Love, but this blog is about our Hobson Homestead, and we now have a true home to call our own. I feel unmistakenly and unfoundly blessed.